China’s thirst for imported wines continued to grow in 2017, with a total of 746 million litres of wine worth about US$2.789 billion shipped to the country. The sheer volume alone is almost double of that of 2013, indicating how the market has quickly rebounded after the market bubble bursted in 2012. The total volume represents a 16.88% increase year-on-year, while its import value is another 17.96% jump over 2016, according to the latest data released by the Chinese General Administration of Customs. 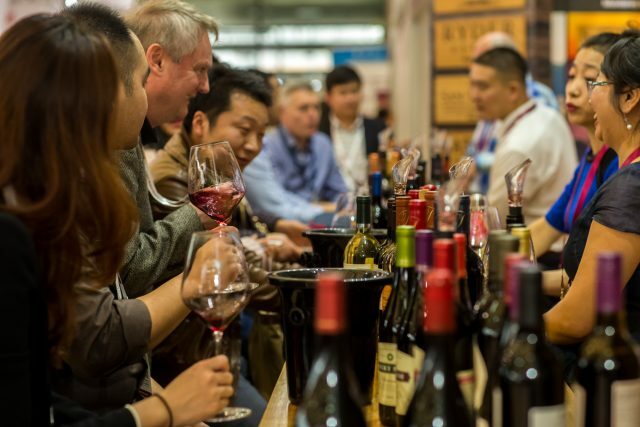 A breakdown by geological consumption within Chinese provinces and cities showed that China’s southern Guangdong province, bordering Hong Kong and Macau, proved to be the most valuable provincial wine market with US$909 million worth of wine imported by value last year, followed by Shanghai at US$735.5 million. Zhejiang came as a far third with US$189 million, ahead of Fujian province (US$136.3 million), Beijing (US$136.1 million), Tianjin (US$124.6 million), Shandong (US$111.6 million), Jiangsu (US$79.7 million), Liaoning (US$34.9 million) and Sichuan (US$20.1 million). In terms of country of origin, France still dominates, but its growth rate has slowed down, especially compared with New Zealand, the US or Australia. Click through the pages to see the top importing countries for China’s bottled wine by value. These figures are impressive, but for clarity sake, I would like to have a better understanding. I reckon the figures are in US$. Now, if we divide the value $2.800.000.000 by the quantity L 746.000.000 it equates to 3.75US$/L => about $2.81 per 0,75 bottle (do we have any idea of the volume in bulk?) in any event it sounds extremely low. I guess the value is calculated on the basis of the purchase price EXW and does not include CIF + Import duties. Could you confirm my calculation is correct? BOTTLED WINE，total import volume is 552,150,530 L in 2017, value $2,554, 672,316, avg price $4.63.